Thank you so much for this Freebie. I want to let you know that I posted a link to your blog in CBH Digital Scrapbooking Freebies, under the Page 3 post on Oct. 01, 2009. Thanks again. 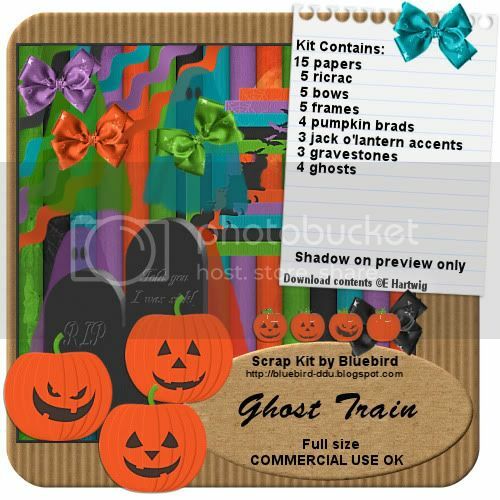 thanks so much for the blog train freebie, love the kit! 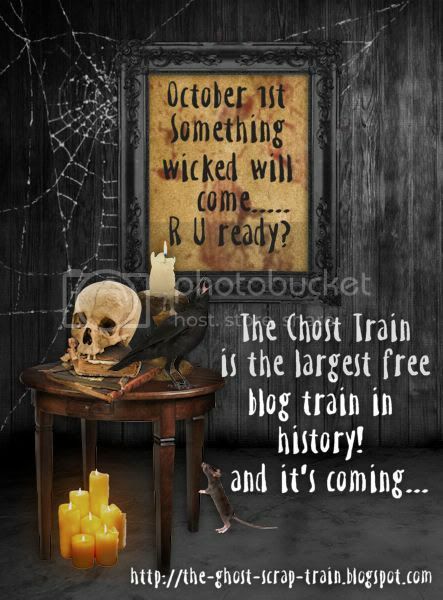 Thank you very much for this ghostly blog train. Very nice set, but would not download for me. Thanx. I just love your part of the ghost train. I love the colors and the elements. Hope that you have a great day. Everything is so very cute ~ but I really like your ghosts and bows. They are adorable. Thank you so much for sharing. Happy Halloween!! !